I’m realizing that I have a problem with consistency. This theme of HAPPY was supposed to inspire me to blog every day, but that just isn’t realistic for my life right now. 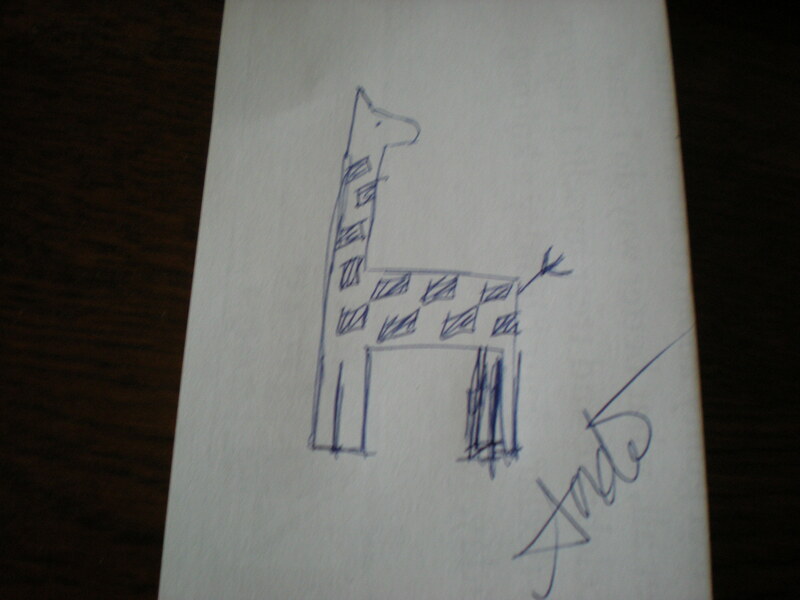 But, three posts in one week is alot better than the once or twice a month that I was averaging this year. Progress makes me happy! I typed “happy” into the search engine, and Happy Meal was one of the auto-filler options. Happy coincidence, since that was the lunch menu for Kendra and her best friend today! Are we really happy with fast food? It’s not the healthiest option, but if it means sitting down as a family, then I vote yes. I grew up in a family that ate dinner together a majority of the time, and I am striving to replicate that for my daughter. I am not a fantastic cook, but I have a standard set of recipes built around the concept of leftovers-for-lunch-tomorrow. We turn of the TV (mostly) and have a bit of conversation around the table. This brings to mind a quote I’ve seen on kitchy art: “My house is clean enough to be healthy and dirty enough to be happy” – I think the original author must have had a neat-freak mother! The underlying idea is that we should all just relax and enjoy the moment rather than obsessively cleaning and fixing and waiting for everything to be perfect. Being happy isn’t about being perfect – it means learning to look beyond the imperfections. Having a collection makes gift giving easier too! I started a collection of Santa figurines after college, but people forgot about it, so it’s not as extensive as the giraffes. 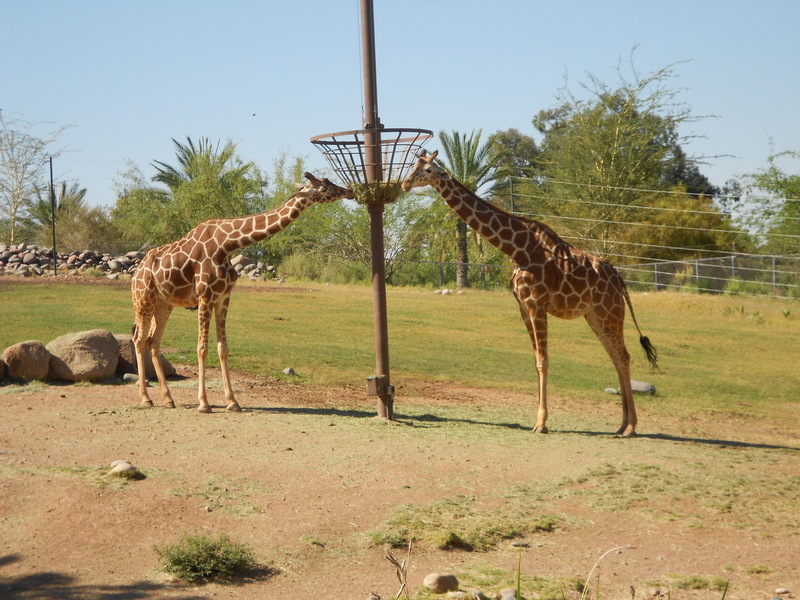 We are lucky in the Phoenix area to have to fantastic zoos, each with giraffe feeding stations. 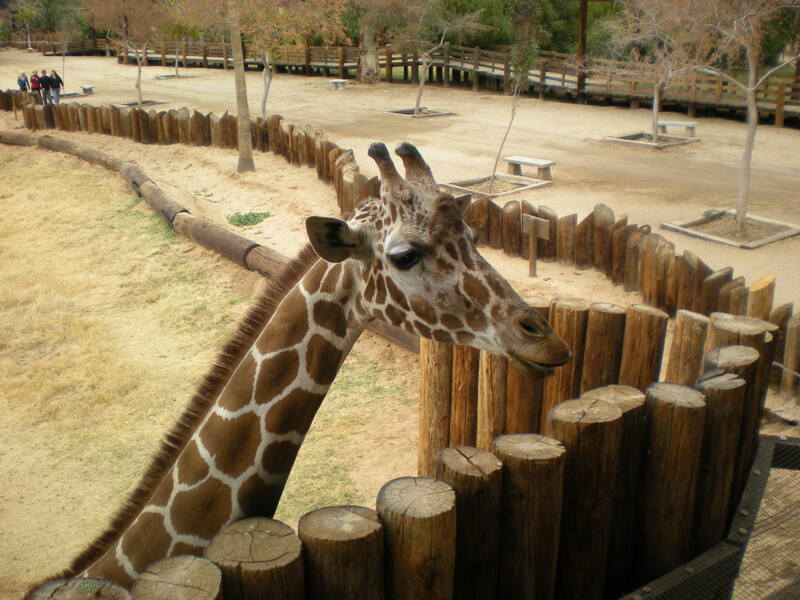 The Cheyenne Mountain Zoo in Colorado Springs even has a giraffe-cam that provides a live feed of their animals.